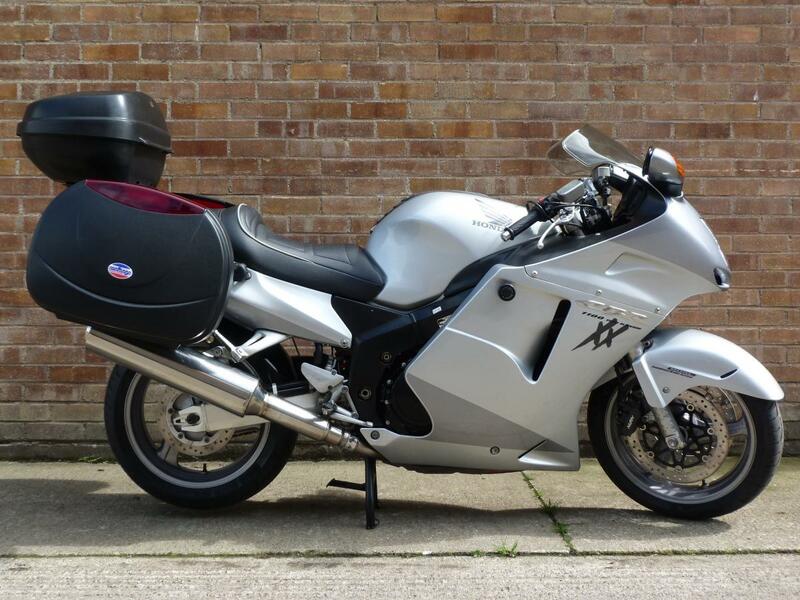 Here for sale is a 2005 05-plate Honda CBR1100XX Blackbird with 23,058 miles on the clock. This Beautiful Condition Super BlackBird has been really well looked after from new and has a Full Service History. The previous owner has spent a fortune on it and fitted some very nice touring extras. It has a Custom Gel heated seat, Full luggage system, handle bar risers, smart water, rear hugger, heated grips and crash bungs.